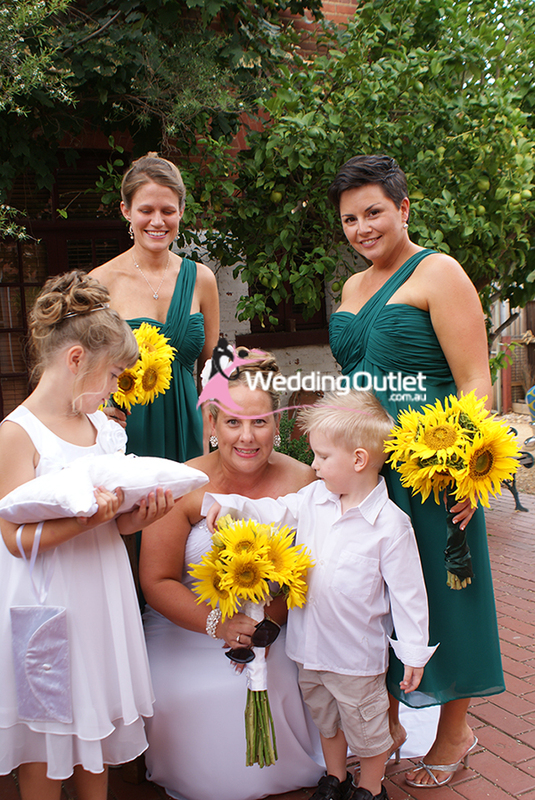 Green is a refreshing and bright colour theme for a wedding. It creates a warm and natural tone to the wedding. 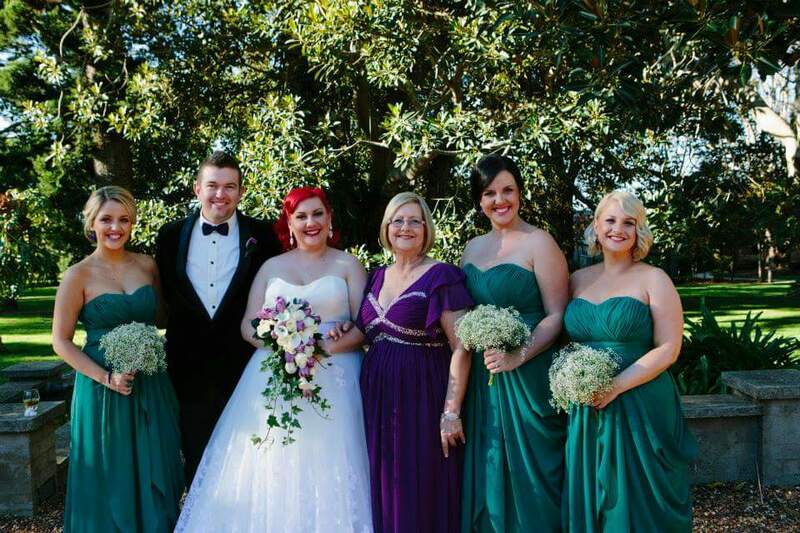 Green bridesmaid dresses are also now very popular. 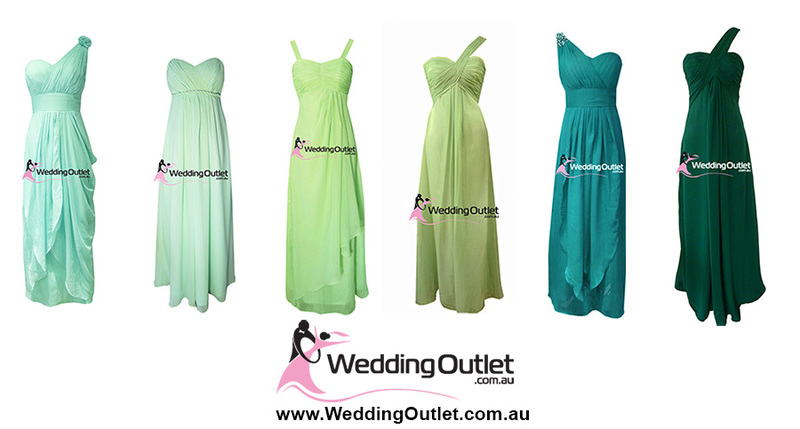 Generally maxi length dresses are chosen because it creates a more elegant appeal for the wedding. Although we also offer all our styles in knee lengths as well. 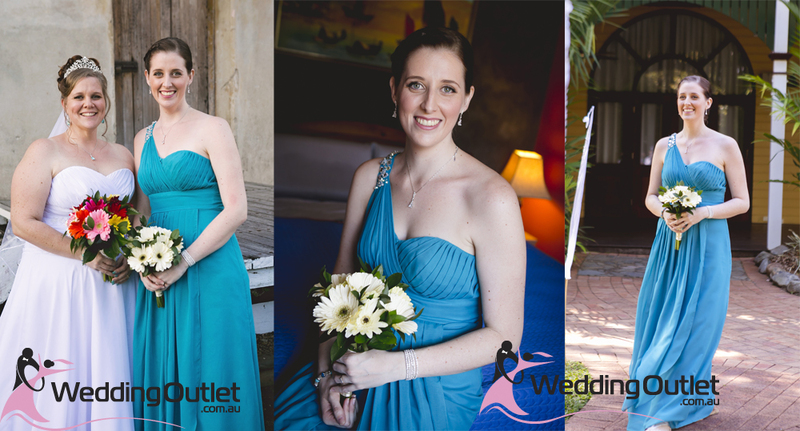 Choosing different shades of green is something we can offer to our customers and can also look very nice in wedding photos. All the styles and colours here can mix and matched, all you need to do is firstly select the style #, it may appear to be in a different colour and when ordering select the colour you want it to be made.